Built in 1953 by Hitters & Proost of Hertogenbosch, the Netherlands. Originally known as Penthe Sileia, and now renamed Vertue, she is oneof three steel Vertues built, with a mahogany cabin. Bought by Ben Deveson in November 2013, who keeps her on the Westeinde Plas, in Badhoevedorp, Holland. 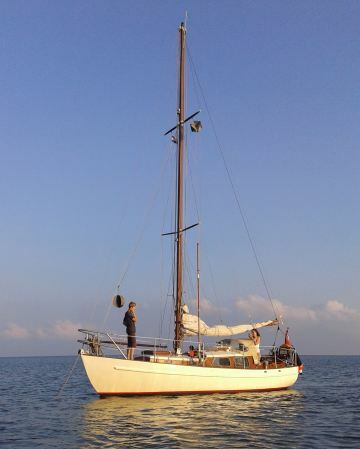 Ben has also recently set up a blog for Virtue, which you can visit here, and where he has uploaded the click below of the previous owner sailing off Amsterdam.